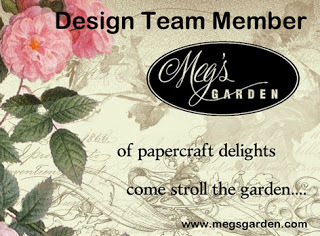 Sherlock lll - A New Case that is available from Meg's Garden online store. 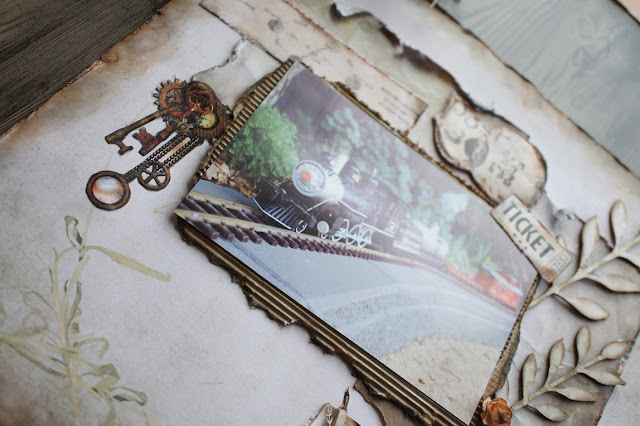 I have distressed the edges of the patterned paper using a distressing tool. 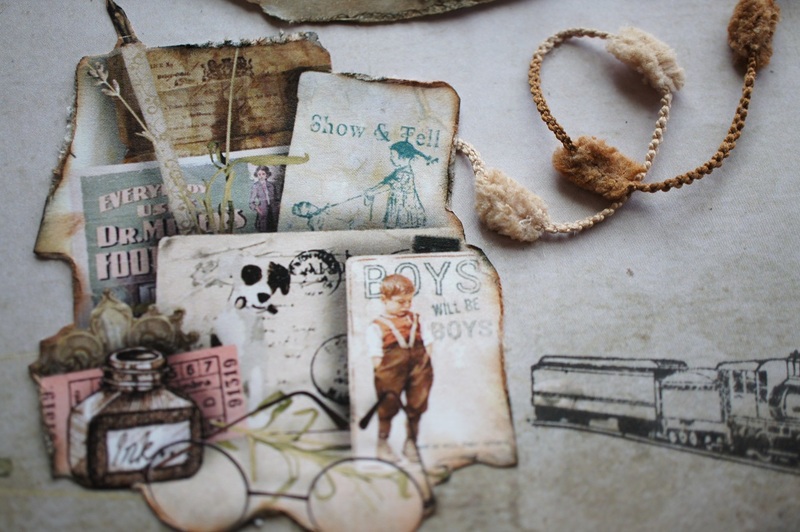 Next I used Tim Holtz's distress ink pads: vintage photo & black soot. 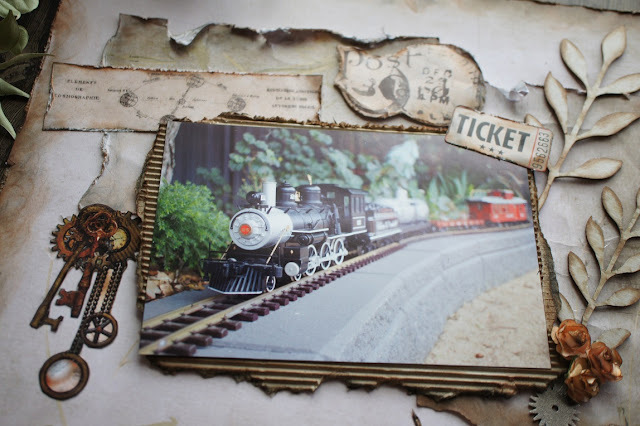 Corrugated cardboard was torn & inked, the photo was added before adhering to my layout. 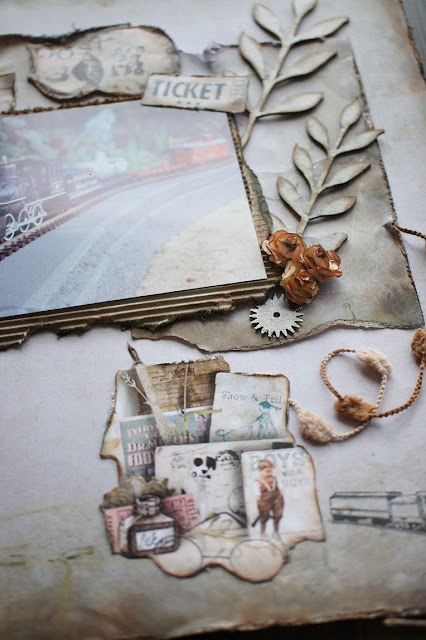 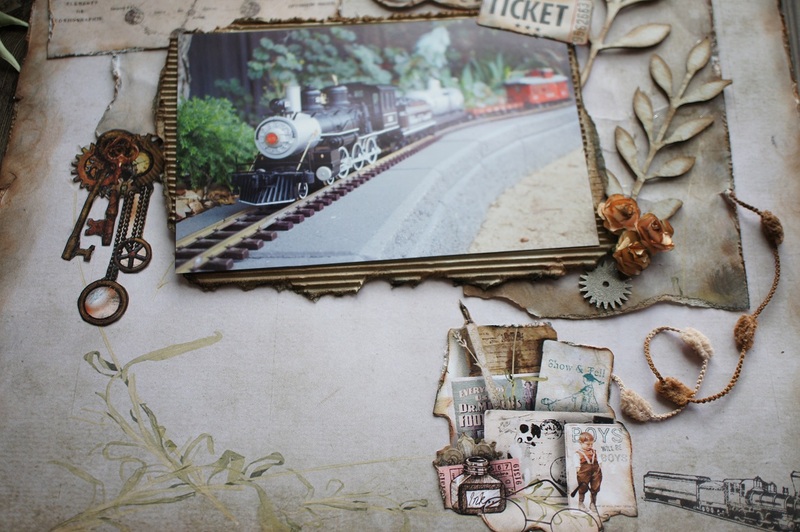 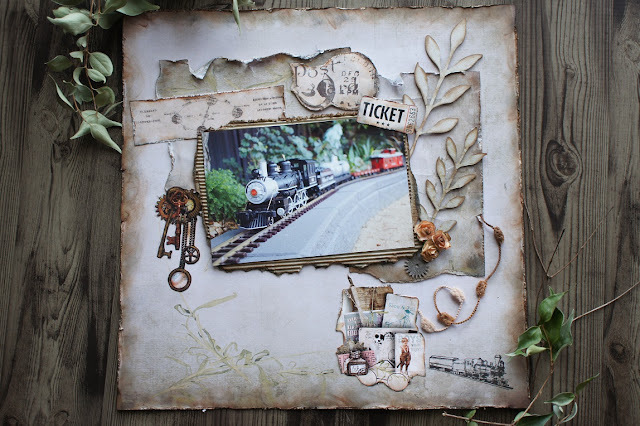 I decorated my layout with chipboard leaves, paper flowers, a metal charm, trim, a stamped image & fussy cut images.